Combining art and science, herbal medicine uses the power of nature to help treat the root causes of illness and disease. 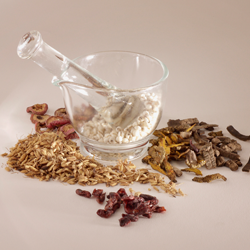 Working with individual powdered herbs the way a pharmacist would, I create precise blends to meet your unique needs. This makes me different from many other providers because I don’t rely on ready-made formulas. My practice includes an herbal dispensary with pharmaceutical-grade herbs. The herbs I use are free of added chemicals, dyes, preservatives, or artificial fillers. My extensive training in herbal medicine and experience in developing individualized herbal prescriptions will give you the maximum benefit for your desired outcome.